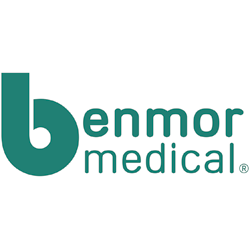 Benmor Medical are the UK’s leading independent bariatric equipment specialists providing the highest quality equipment and services to the NHS and the community. We design and manufacture innovative products which help improve patient care and maintain safety for healthcare professionals. Our well established reputation has been achieved by providing excellent 24/7 customer service Nationwide. Visit Benmor Medical at DNEX to enter their PRIZE DRAW for a chance to win over £400 worth of places on the 2-day cpd-accredited “The Management of the Plus Size (Bariatric) Patient” course!